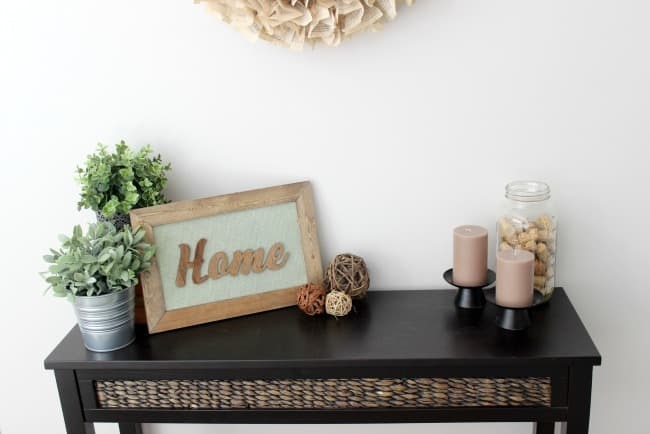 Is there ever such a thing as too much artwork in your home?! 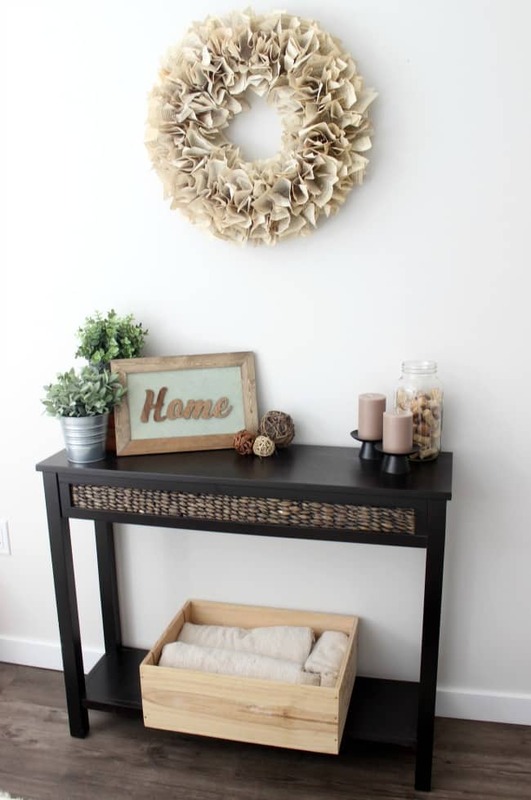 I can always find a shelf or a wall that needs something new! 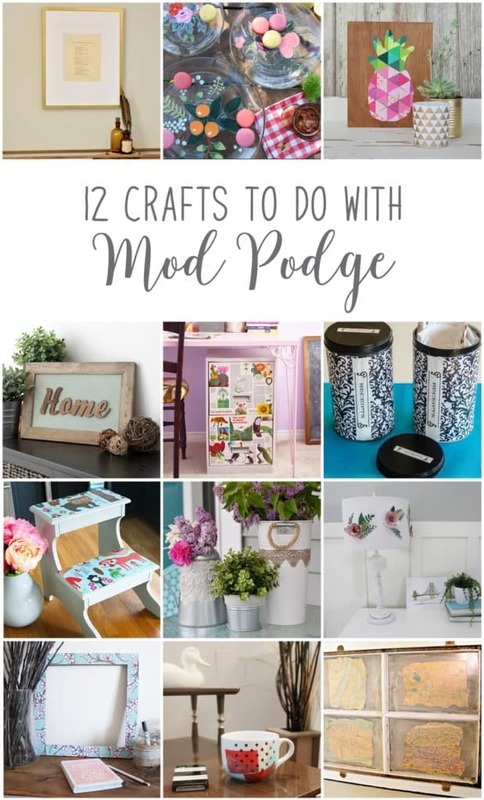 I’m back with another 12 Months of DIY Project and this month we are bringing you mod podge projects! 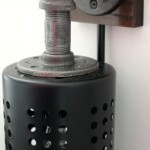 Last month we brought you Thrift Store DIYs and I made my Industrial Sconces from old lamps. 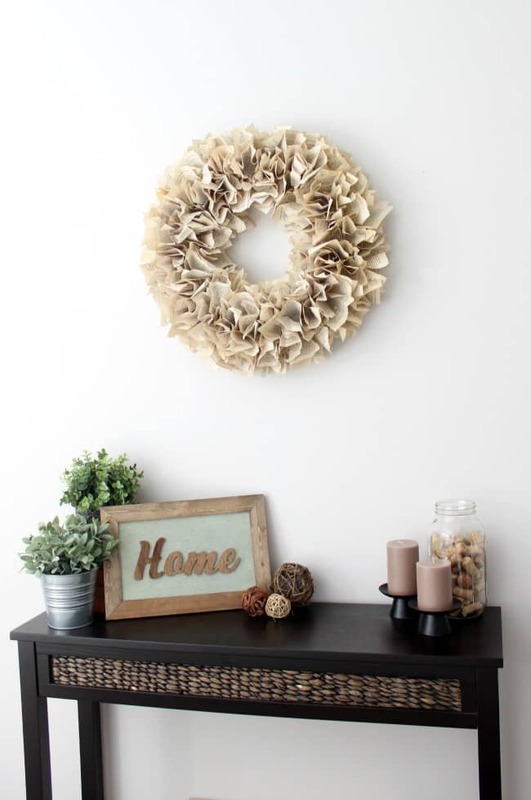 This month my project is a bit simpler, but staying true to my style… still requires power tools! lol. 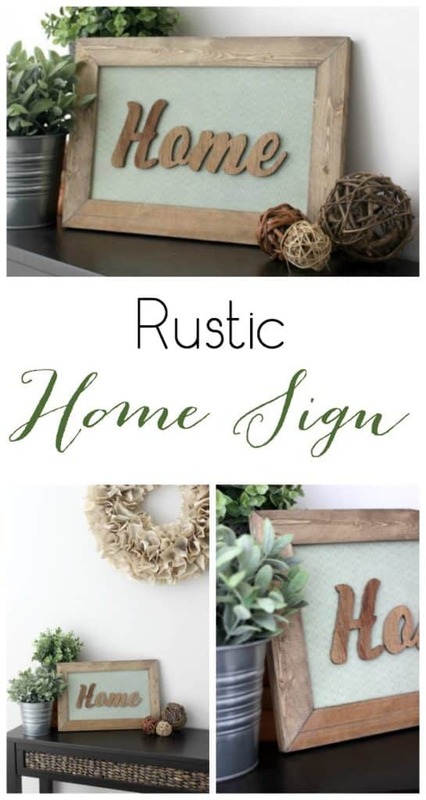 I’m gonna show you how to make your own wood sign! I seriously LOVE this project. 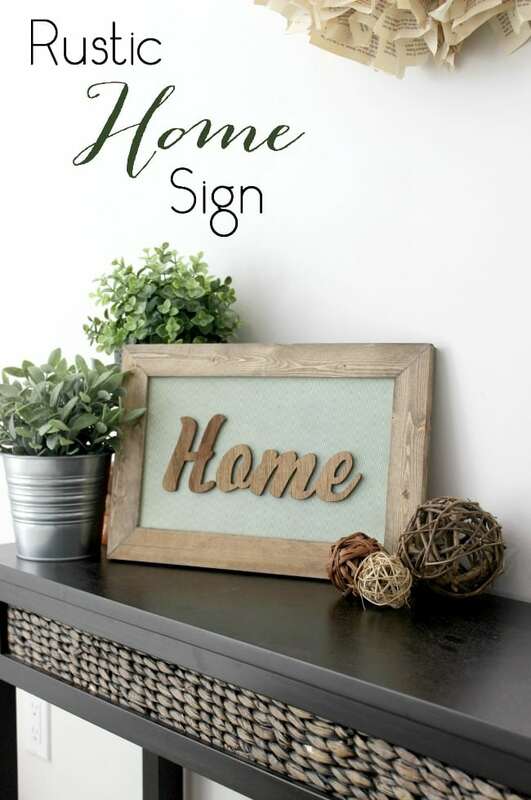 I could make a thousand signs like this with different words and happily find places for them in my home. Here’s what you need to get started. 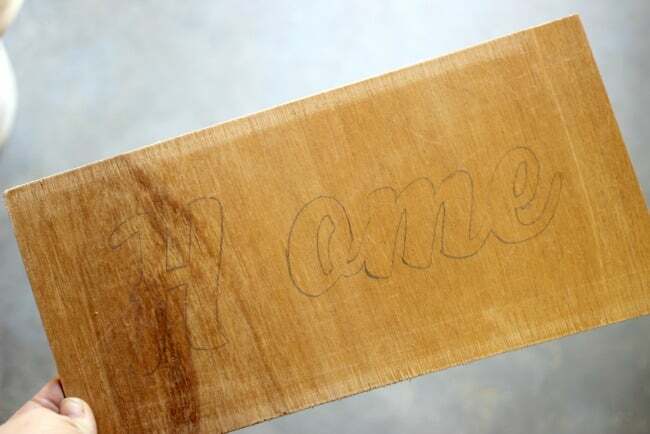 Start by marking or tracing your word on a piece of plywood. 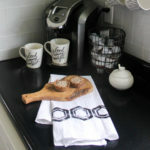 I used my Cricut Explore to cut a vinyl stencil (see how here!). 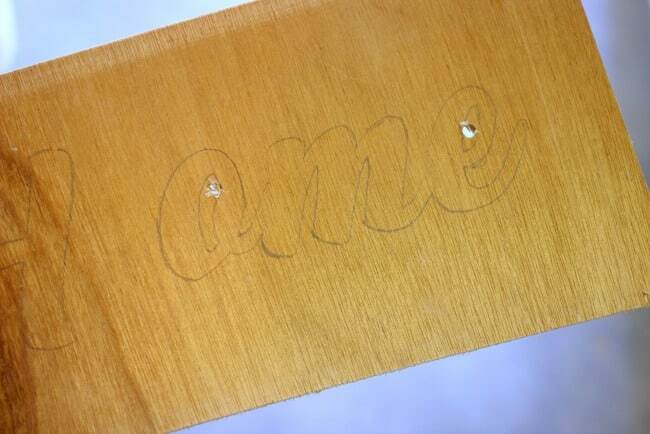 Next, you need to drill holes into the holes within your letters. 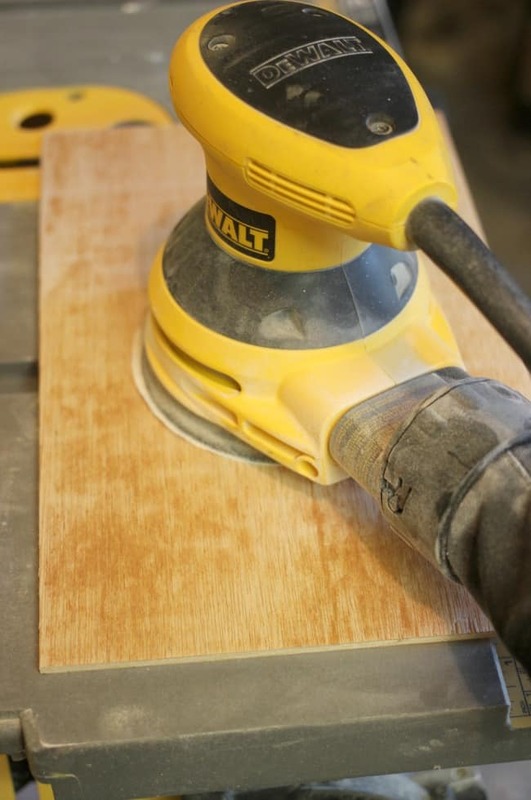 Use the biggest drill bit you can, without drilling into the stencil edges. 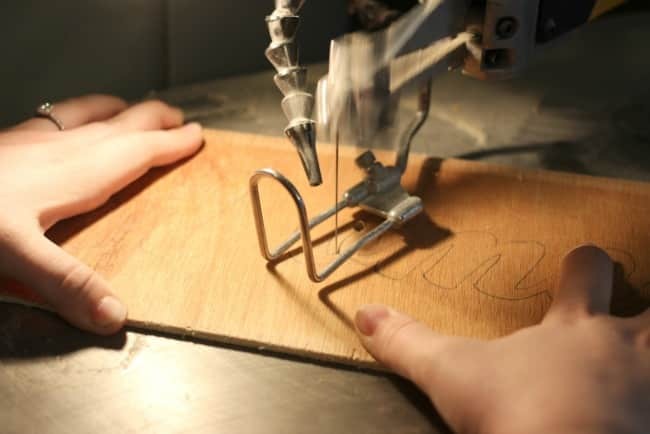 Next, jump on the scroll saw and cut out all your outlines. 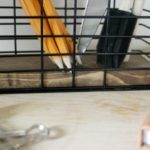 I used a very fine blade so that it could get into the holes and around the corners easily. 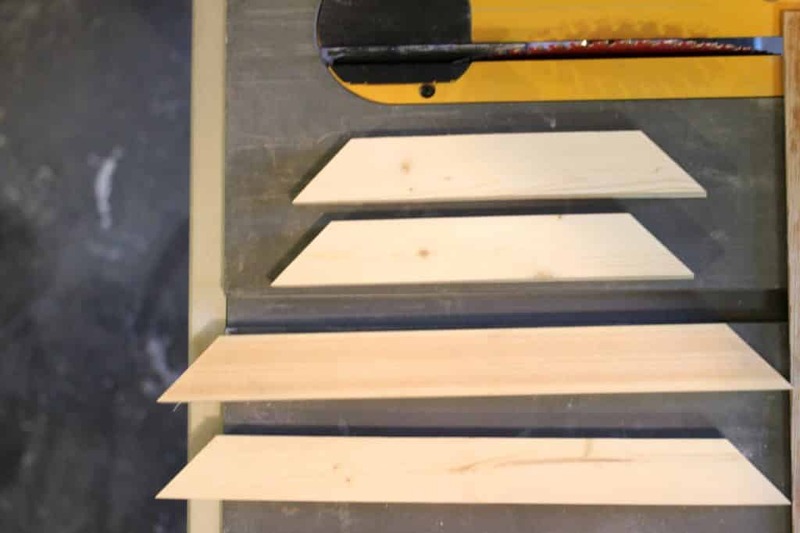 Use your circular saw to cut the bottom board to whatever size you want. 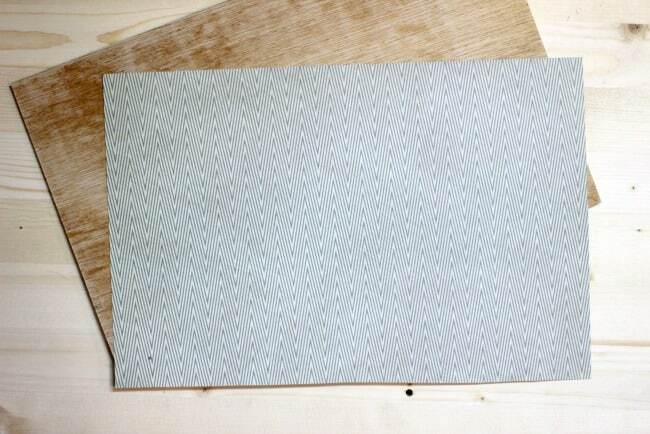 Then use the circular saw to cut your edge pieces. My frame is about 1.5″ around. 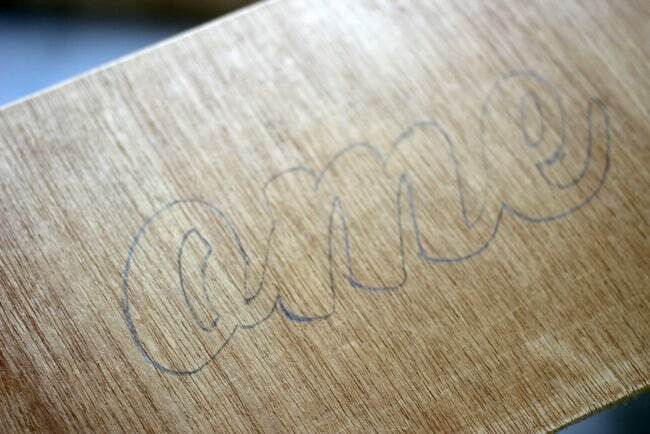 You can use the same plywood and just nail it on top. 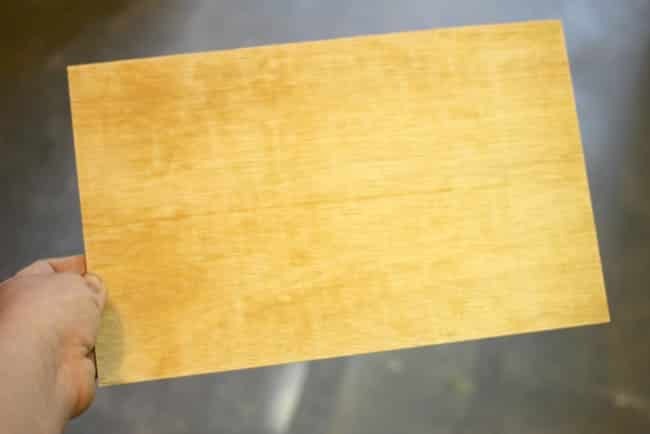 Cut the edges so that they are the same length as the base board, and cut the edges at 45 degree angles. Sand down the bottom base board and the frame pieces. 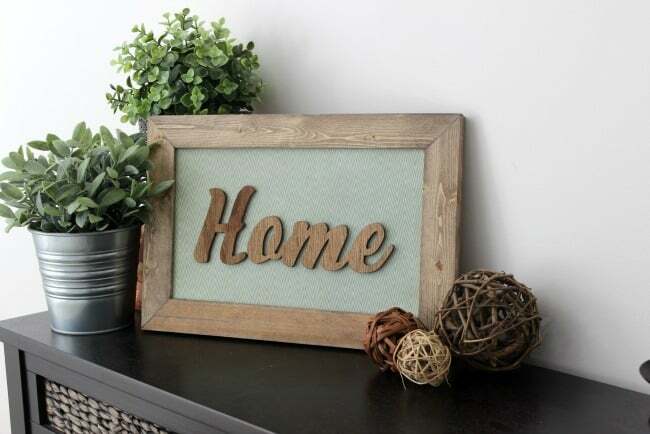 Stain the frame and the “Home” letters in whatever wood stain you choose. Next, cut your scrapbook page so that it fits on the board. I love this chevron patterned paper! 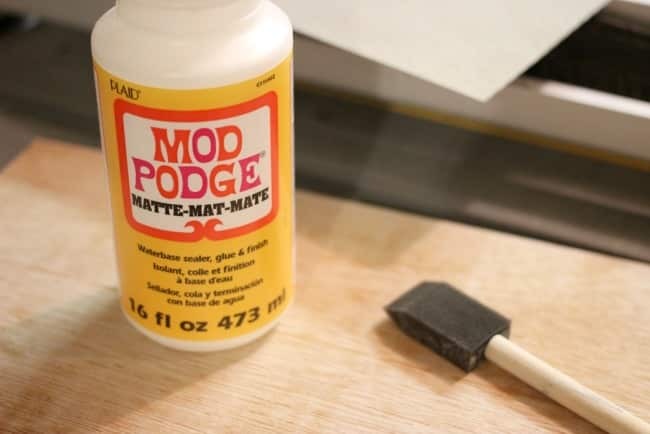 Spread mod podge along the bottom of the board with a foam brush – just lightly. 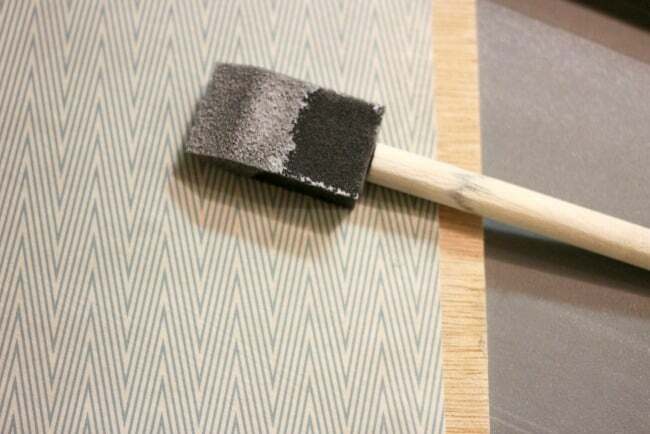 Then place the paper on top, and spread mod podge on top with the foam brush. If you use too much, the page will bubble and lift up. Less is more! 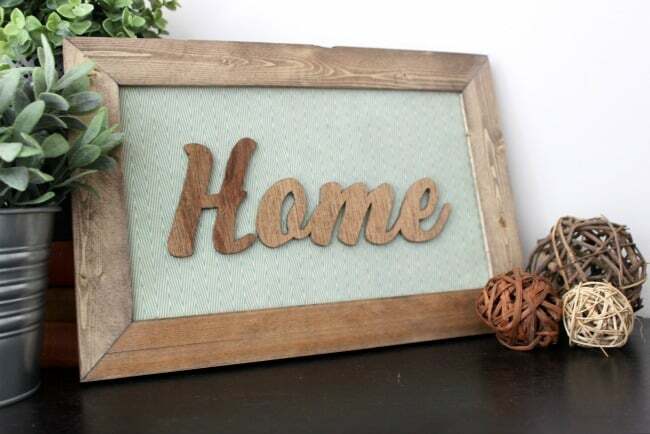 When the mod podge is dry, attach the “Home” pieces with wood glue, and glue and staple (or nail) your frame in place. 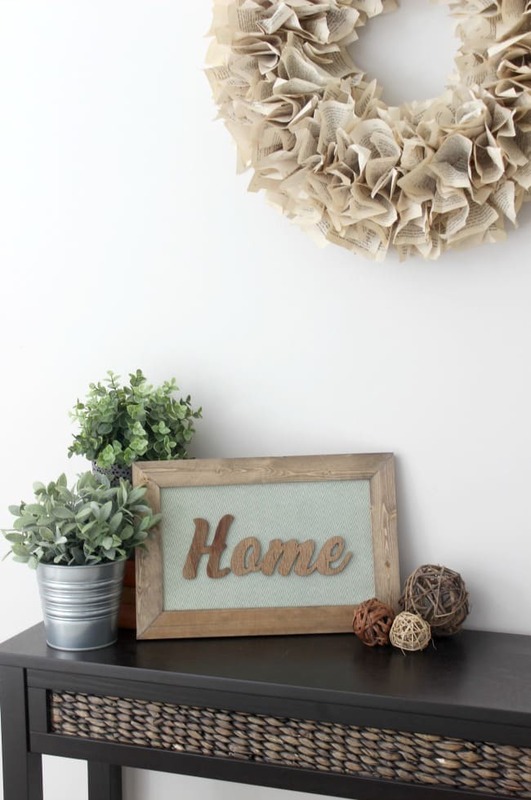 A modge podge craft that uses powertools…new ground has been broken in my books! Love it! This is amazing!! 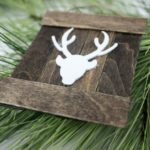 I really want to try using a scroll saw now. So inspiring! This little sign is so wonderful! What fantastic gifts they would make too! That’s awesome!! Wish I could use the jigsaw as beautifully as you do!! Mine always look like a 5 year old did it. I am really humbled by your creativity and talent! What a fabulous project. We own a circular saw but I have to admit I have never touched it. I am now inspired because you gave such doable instructions! 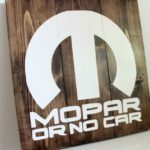 Love your sign, and your wowing me with your scroll saw skills! Beautiful project. Those are some serious skills…so much control with the circular saw. Amazing! 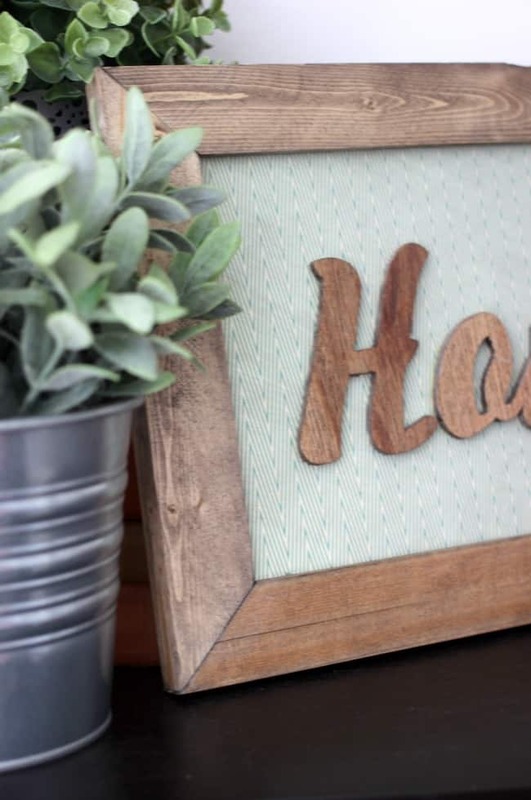 Love the rustic wood sign and I love your choice of chevron printed paper. I love this Lindi! I’ve been doing a few of these scroll signs too, guess that class at Snap gave me a little motivation. 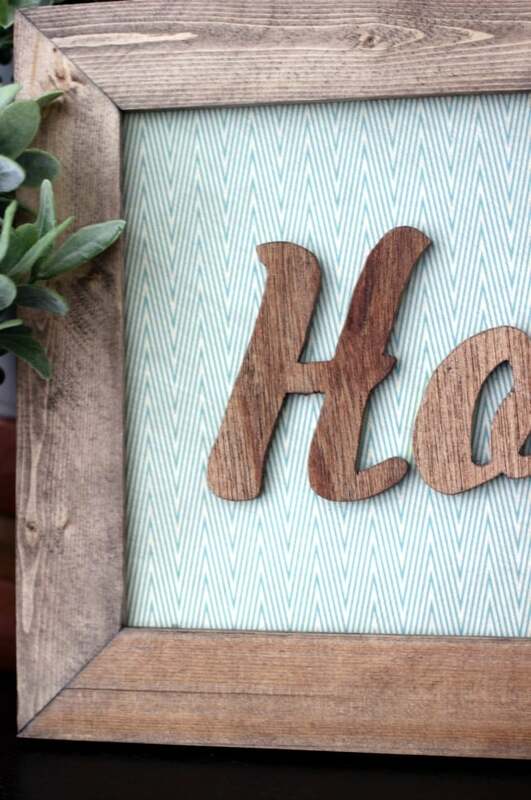 I absolutely love the wood with that cute chevron paper, beautiful combo. Thanks Amy! I can’t get enough! I have SO many ideas floating around my head now! Lol. I’ll have to pop over and see what you’ve made too! Thank you so much for linking up this project at Weekend Wind Down last week. I wanted to let you know I chose you as one of my features. Hope to see you linking up again soon! 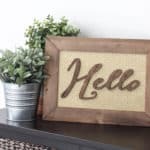 Nice work with your scroll saw! Love this! Thanks Jen! I’m actually in LOVE with my scroll saw right now! A scroll saw is on my wish list! This sign is so beautiful. Thanks for sharing at the Wednesday Showcase!